Successfully Added Maximum Range High Gain Wireless WIFI USB Dongle to your Shopping Cart. 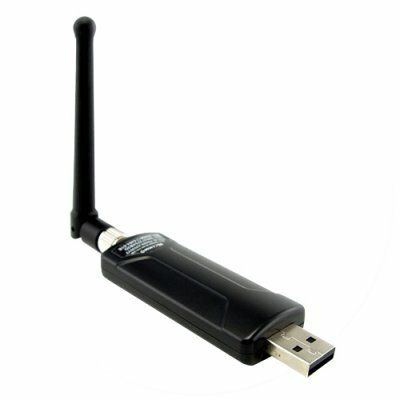 For maximum speed and maximum range you can not go past this high gain wireless dongle from Chinavasion. With an angle adjustable antenna and simple setup you\'ll be surfing wirelessly in no time. Get rid of all that ugly networking cable from your office, lounge and bedroom by installing one of these awesome dongles. Suitable for both Ad Hoc (computer to computer) and Infrastructure (through a router) networks and capable of all compliant data rates up to and including 54 Mbps 802.11g standard. A great product at a great price buy now and take advantage of Chinavasions low wholesale prices and great drop shipping service for your eBay customers..